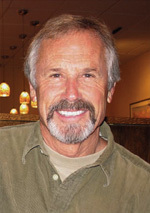 Sunset magazine and the California Coastal Commission have named Gary Griggs, director of the Institute of Marine Sciences at UC Santa Cruz, as one of their 2009 California Coastal Heroes. UCSC alumna Julie Packard, director of the Monterey Bay Aquarium, is also among the Coastal Heroes who will be featured in the September issue of Sunset and honored at the California Coastal Commission's 25th anniversary celebration in San Francisco on September 17. Griggs was recognized for his efforts to promote popular understanding of the California coast and for his leadership in the development of a major marine research and education center at Long Marine Laboratory. 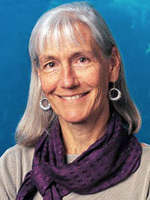 A distinguished professor of Earth and planetary sciences at UCSC and director of the IMS since 1991, Griggs is an expert on coastal processes and geologic hazards. He has published several books, among them the classic Living with the Changing California Coast. Packard, who earned her B.A. and M.A. degrees in biology at UCSC, was recognized for her leadership of the Monterey Bay Aquarium. She helped found the aquarium and has served as executive director since it opened in 1984. Her commitment to advancing ocean conservation has been demonstrated through the aquarium, in her work on the Pew Oceans Commission, and in her service on the boards of organizations such as the California Nature Conservancy. The other honorees include John Hanke of Google Earth, Linda Sheehan of the California Coastkeeper Alliance, State Senator Alan Lowenthal, Serge Dedina of Wildcoast, actress Julia Louis-Dreyfus, and Pierce and Keely Brosnan. Also in Sunset's September special issue dedicated to the coast, Darryl Wong, a recent graduate of the UCSC Apprenticeship in Organic Agriculture, was featured in the magazine's monthly "Why I Live Here" profile. Wong is co-owner of Freewheelin' Farm with fellow apprenticeship graduates Kirstin Yogg and Freewheelin' founder Amy Courtney. They grow a variety of vegetables on a 9-acre parcel and deliver their produce by bicycle to 75 members of their CSA. Finally, Long Marine Laboratory, with its spectacular 87-foot whale skeleton, was included in the magazine's "20 Coastal Discoveries" article.